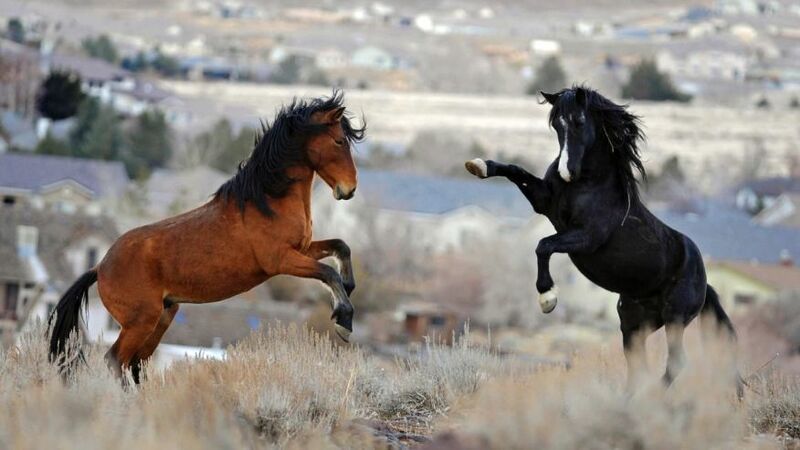 Wyoming wild horses at play. Associated Press photo. To donate to the Wild Horse Legal Defense Fund to help us continue our fight for the horses on the Wyoming Checkerboard that are still under threat today, please click here. This ruling today is an affirmation that range management is about more than just wild horse populations on the HMA. This ruling does not prevent the planned removal of wild horses on the checkerboard in October 2016. To sign Return to Freedom’s anti-roundup petition, please click here.